The kickoff also includes ‘Witness House,’ where Katy is welcoming a wide range of friends, family, YouTube stars and celebrities for fun moments and thoughtful conversations. The livestream event is broadcasting from Katy’s YouTube channel and was first announced in May at YouTube’s upfront event. The US stream is sponsored by COVERGIRL. 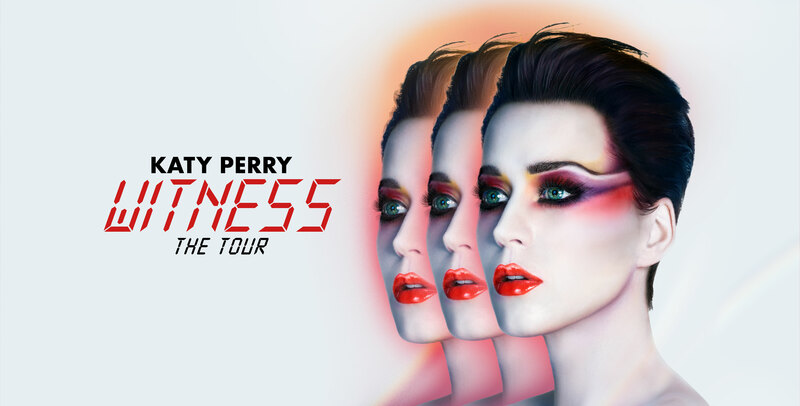 During Friday’s livestream, Katy announced that the event will continue throughout the next few days, culminating in a live concert in Los Angeles for 1,000 lucky fans and streamed exclusively on YouTube on Monday, June 12. Throughout Day 2, Katy continued to directly engage with her fans, answering questions, hosting concert ticket giveaways, and even inviting lucky KatyCats to join her in the action. Some highlights of the event included Jesse Tyler Ferguson joining Katy for a yoga session with Chau. Celebrity Chef Gordon Ramsay battled it out with Katy in a ‘Side By Side Cooking Challenge’ where Gordon had to guide Katy in cooking quinoa and meatballs (but first teach her that before boiling water for pasta, she needed to add salt!) Neil deGrasse Tyson joined Katy for a conversation about science…and aliens. Sia, Anna Kendrick, Patty Jenkins, Mia Moretti, and Dita Von Teese joined Katy and other empowering females for a ‘Rose & Thorn’ dinner prepared by chef Nina Clemente. Be sure to tune in to the livestream. Upcoming guests this week include include Arianna Huffington, America Ferrera, James Corden, RuPaul, Gigi Gorgeous, Caitlyn Jenner, Amanda Seales, and Margaret Cho. In addition to ‘Katy Perry – Witness World Wide,’ Katy will also star in Best.Cover.Ever., a new music competition series executive produced by Ryan Seacrest and Ludacris, coming exclusively to YouTube this Fall.